Would you like a lightweight shoe for work, attend a meeting, take a trip, or simply be comfortable all day? 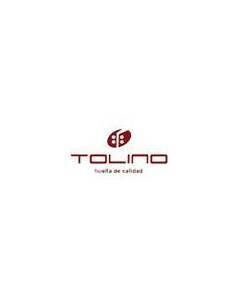 We offer you the basic collection of Tolino. This collection is based on models that meet the comfort and the trends of urban fashion for men who need a comfortable shoe for everyday life. The collection is presented in black, because it is timeless and fits any kind of costume, from a suit to a uniform. The quality of the skin used for its manufacture is very soft and tender, but of great strength and durability. Lined with skin, which allows great breathability and softness in the shim. Leather lined and padded, with the brand's logo engraved on the heel, is anatomical and removable. With adjustable velcro, very comfortable and easy to apply and remove, the seam of the shovel is double refrain. The rounded toe, comfort and allowing total mobility on the part of the fingers. With a shim of special width, this model is highly recommended for very delicate feet. The floor of ultra-light and highly resistant polyurethane with a special area non-slip, ideal for any type of soil that you step on. Tolino creates this very comfortable footwear line, so they can wear throughout the day, with a design and style clean and essential lines, dedicated to a contemporary and dynamic man who needs to be on the move all day. Es un zapato estupendo. Son muy cómodos y el diseño es bonito. Mi padre está encantado.